Published Bestsellers: Me and My Shadow "An immensely gripping read"
"There are many words to describe how I feel after reading Me and My Shadow, intrigued, shocked, emotional, inspired, but most of all proud. I am proud that I know Ray, and honoured that he turns up week in week out to my fitness classes. For the advice, his knowledge, and the time he has given me over the past few years. His enthusiasm to his sport is mind blowing, and whatever Ray puts his mind to, he achieves it with flying colours. 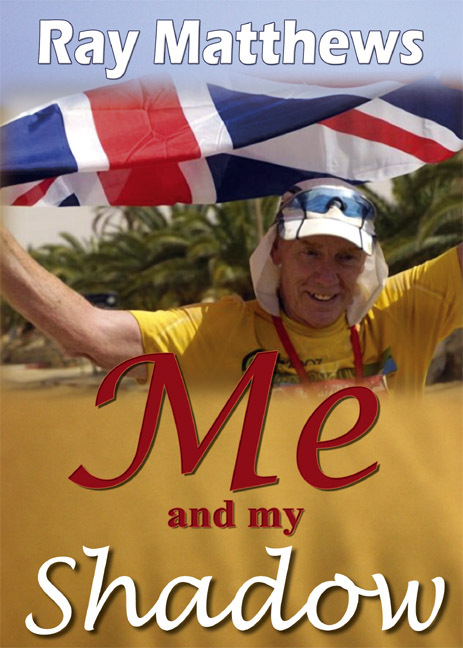 From being this cocky ginger haired, Yorkshire lad who just wanted to “have a go at boxing”, to his recent 100km Sahara Desert race, Ray has, and always gives 110%. He is an absolute credit to anyone who knows him. This book gives a great insight into the “down to earth” Ray (we thought we knew)! Some of the stories are very funny, as well as inspirational. An immensely gripping read, a must buy. Thanks for everything Ray."